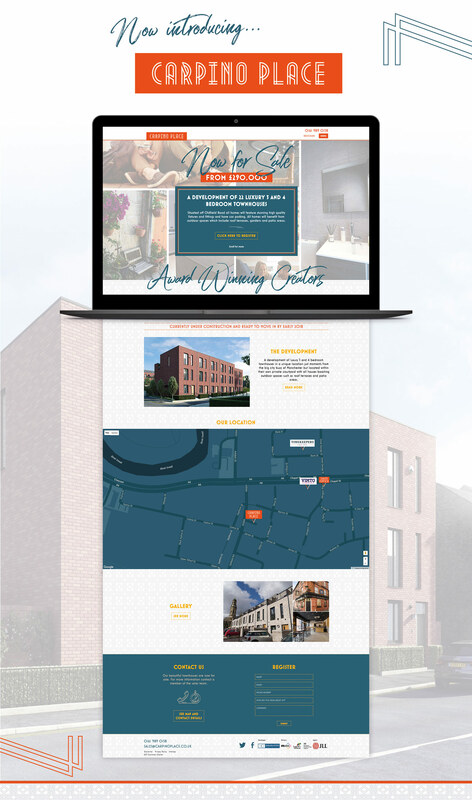 English Cities Fund (ECf) – a joint venture between Muse Developments, Legal & General Property and the Homes and Communities Agency – appointed Cuckoo for their fourth new development, Carpino Place, which forms part of the wider £650m Salford Central Regeneration Scheme. The development consists of 22 luxury 3 and 4 bedroom townhouses situated just 10 minutes from the city centre. 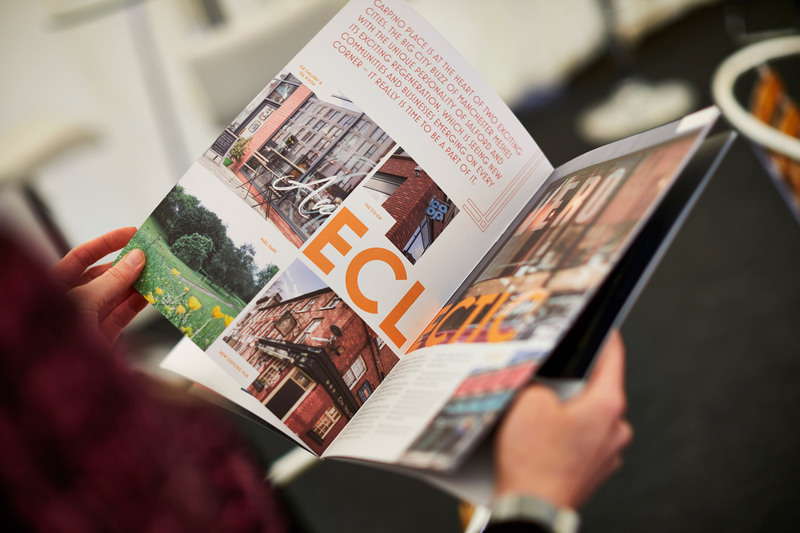 Cuckoo were appointed to develop the brand, leading the naming, visual identity and full communications strategy. The objective was to maintain the momentum of the wider regeneration project whilst continuing the progression of Chapel Street, paying homage to the wonderful heritage. The challenge was not only to sell homes, but also a new way of life and community surrounded by history and culture. In keeping with previous developments; Vimto Gardens and Timekeepers Square, Carpino Place was inspired by the history of the area. 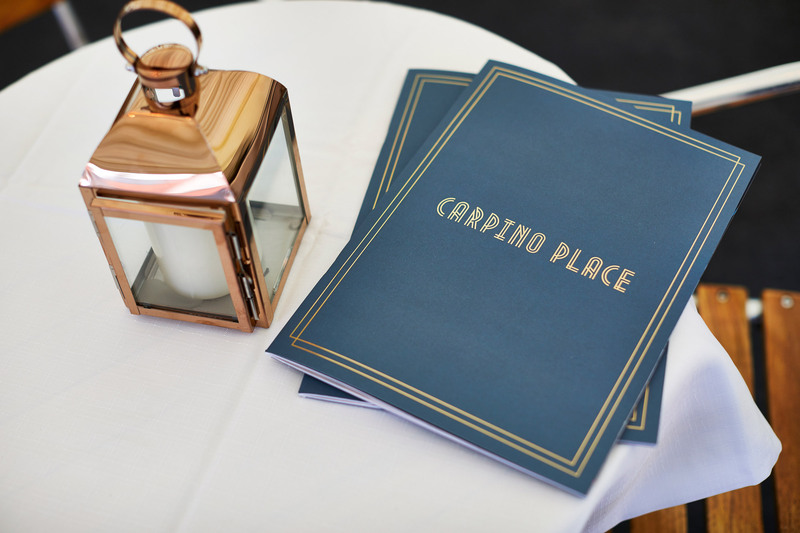 The name Carpino comes from the Archbishop Francesco Carpino who laid the foundation stone for the original building that sat on the development over 50 years ago. Many iconic stories and events took place or drew inspiration from Chapel Street and our on-going aim is to unearth some of these stories to add value to the area. The logo itself was inspired by Southern Europe – Archbishop Carpino originated from Sicily, Italy, we chose a font and colour palette that complements the name whilst paying homage to Carpino’s European heritage. On completion of the visual identity, a full communications strategy has been implemented with the branding carried through all channels. 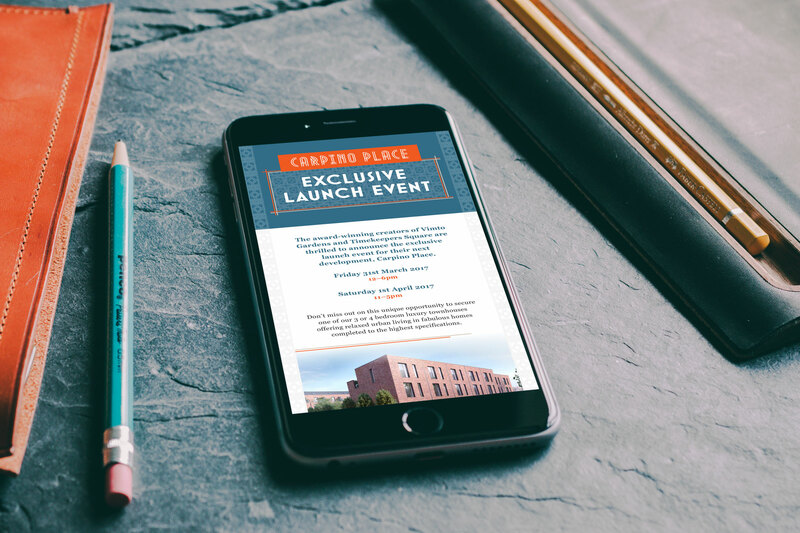 The first look of the campaign was the hoardings, sales office and street banners – these assets created a buzz around the development in the wake of the launch event. A brochure, full suite of collateral and all press material also adopted the distinctive and unique look and feel. 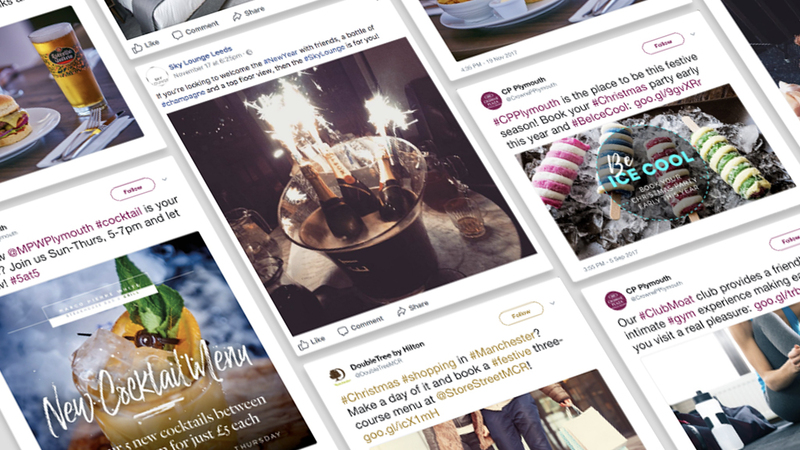 In addition to the offline activity Cuckoo built a responsive website, EDM campaigns, digital adverts and a social media plan. 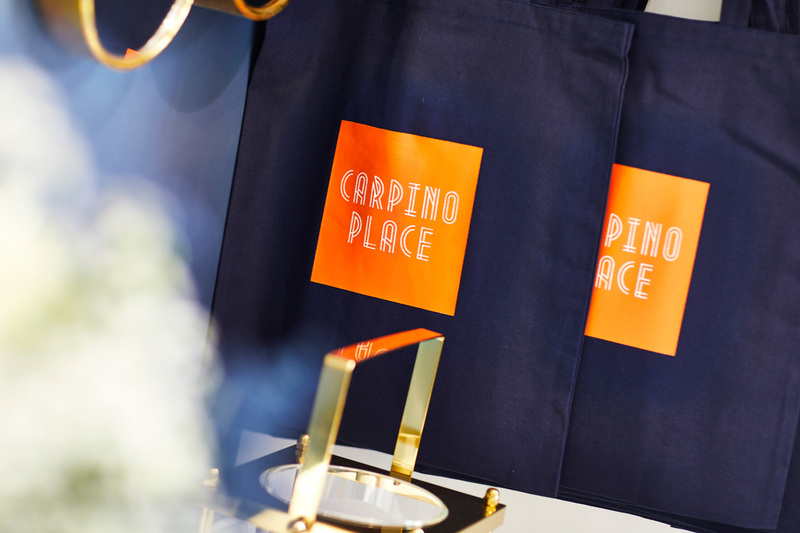 The European essence of Carpino Place has even been rolled out across additional aspects of the development including the open courtyard within the walls of the development, complete with a bike station and bistro style patio areas. The launch event, that took place during spring, featured a grand piano with a raft of European inspired songs, alfresco style food and cocktails.